HAO is narrating part of the new exhibition, Catalyst Architecture, at the Utzon Center in Aalborg, Denmark. The exhibition looks closely at different architectural projects and their ability to function as urban catalyst and programmatic drivers. 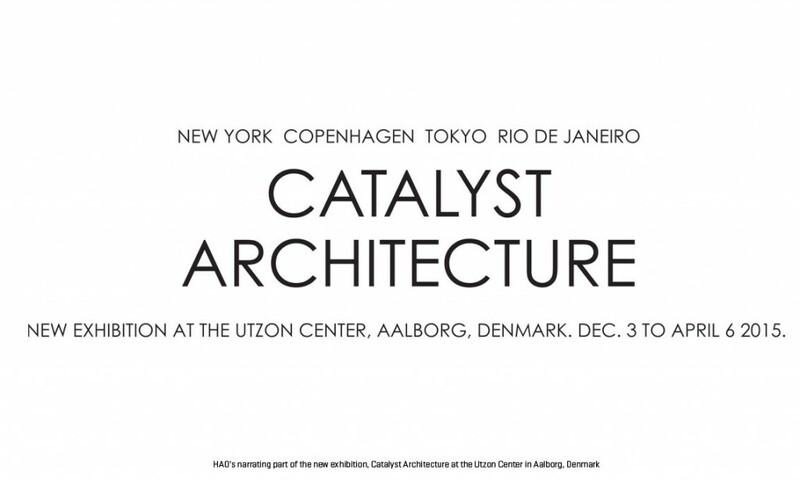 “CATALYST ARCHITECTURE – New York – Copenhagen – Tokyo – Rio de Janeiro. How can architecture promote the enriching experiences of the tolerant, the democratic, and the learning city – a city worth living in, worth supporting and worth investing in?